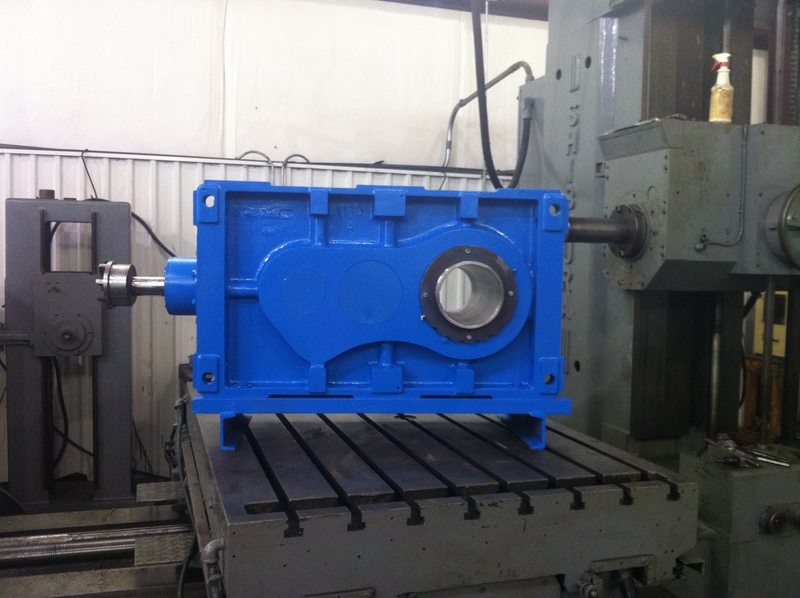 Industrial Rotating Machine Specializes in various applications for industrial rotating equipment which includes: gear enclosed drives, turbines, gearboxes, extruders (single and twin barrel), mounting shafts, extruder elements, extruder die heads, blowers, mixers, overhead crane parts, and rotary kiln & dryer parts. 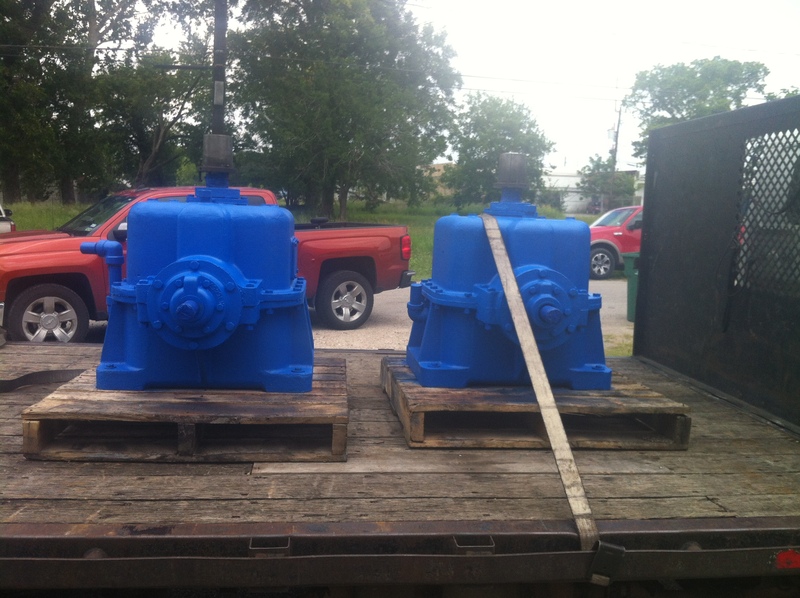 For all of your manufacturing service and repair needs, IRM is your choice for rotating machinery services. If you can’t find what you are looking for there is a good chance we can still help you. Simply contact us and let us know about your project. If we can help you we would be glad to. We Offer A Number of Other Parts and Service Solutions! Alignment: Critical Alignments of turbines, compressors, and gearboxes. Using reverse indicator laser alignment. Blowers & Fans: Buffalo, Dresser Roots, Hoffman, Robinson, Sutorbuilt, Spencer, and Skinner. Centrifuges: Alfa Laval, Bird, Delaval, Dorr Oliver, Flottweg, Krauss Maffei, and Sharples. 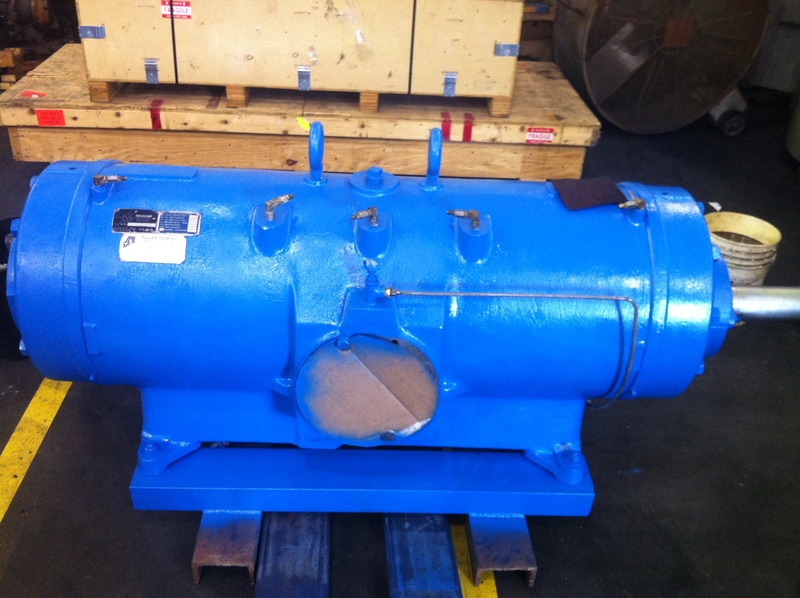 Compressors: Clark, Carrier, Cooper, Demag, Delaval, Elliot, Ingersol-Rand, and Worthington. Cleaning: abrasive, water blast, glass bead, sand and sugar blast, wire brush, and grinding. Dryers: Bepex, Gala, Gatx, Krauss Maffei, Luwa, and Sandvic. 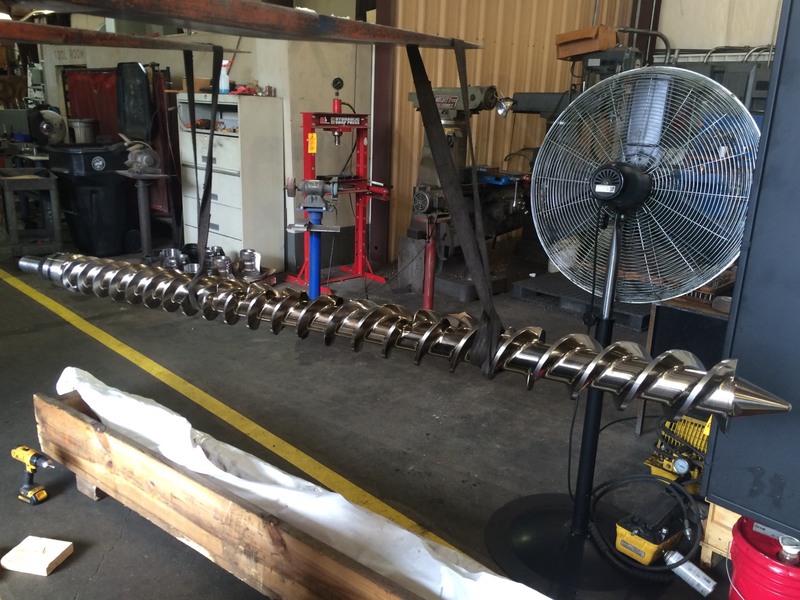 Dynamic Balancing: Service up to 120″ in diameter, 40″ in length, and up to 20 tons. Single & Double Barrel Extruders: Baker Perkins, Battenfield, Cincinnati Milacron, JSW, Farrell, Gloucester, Kobe, Littleford, NRM, Sterling, W.P., Welex, and Welding Engineers. Inspection: visual, dye penetrate, MPI-magnetic particle inspection, gear checking, radiographic, and or ultrasonic. 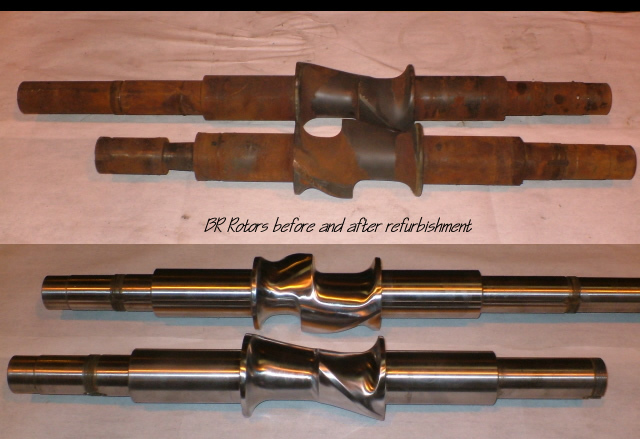 Journals: repair by machining, grinding, sleeving, chrome plating, metalizing, or shaft replacement. Mixers: Baneberry, Chemineer, Farrell, Henchel, Jensen, JSW, Lightning, Philadelphia, Stewart Bowling, and Welex. 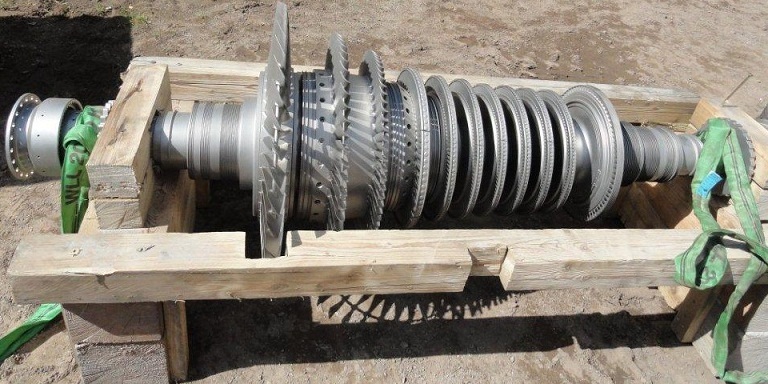 Overhead Crane Parts: crane wheels, cable drums, gears, shafts, and gearboxes. Dryer Parts & Rotary Kilns: bearing housings, pinions, trunnion rollers, girt gears, thrust rollers, speed reducers, and tires. They Say That Necessity Is the Mother of Invention! We have developed a number of our specialized services and solutions based on your unique needs. There is not much we can’t do so if you can’t find your solution here get in touch with us anyways, we might still be able to assist you!